Boots by M has been the specialist in the field of handmade boots from the USA & Mexico for 10 years. The collection for women and men consists of several top brands. El Paso, Texas. They made the boots for Johnny Cash and John Wayne. Singer Adele has just picked out a pair of boots from Lucchese. They also make the boots for Reese Witherspoon. We're the only shop that sells the brands Lane Boots from Arlington, Texas and Junk Gypsy from Round Top, Texas, in Europe. And recently we've added the brands Old Gringo and Corral to our collection. In addition, there is the possibility to have custom boots made. Click here for more information. 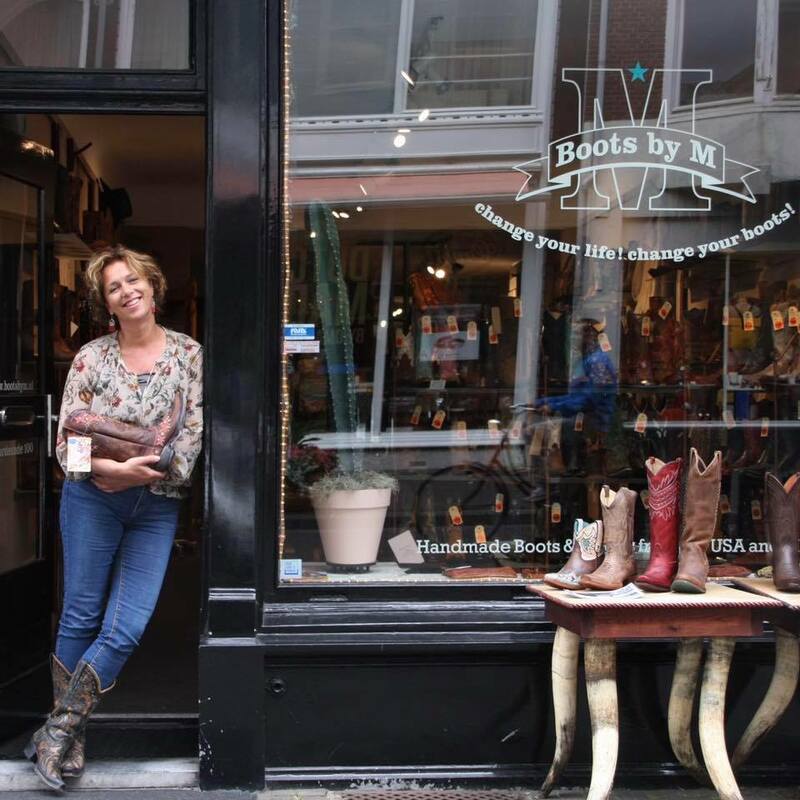 From the store in The Hague, the Boots by M team maintains personal contact with the brands in America. Besides boots, we sell a wide range of cool accessories. Think of jackets, bags, and belts. These products are made of the best leather, which has been processed in a special way. We complement the collection with jewelry, hats and other accessories that complete the look. A lot of USA with a touch of world!